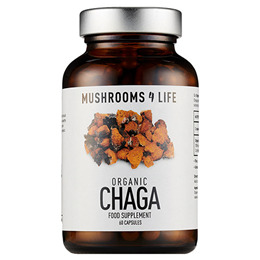 Mushroom 4 Life`s organic chaga extract uses only wild-harvested chaga growing on birch trees to obtain key active nutrients including betulinic acid. They guarantee a minimum of 30% polysaccharides and 2% triterpenes. Organic chaga (Inonotus obliquus) conk, *vegetable cellulose capsule (Hydroxypropyl methylcellulose). *Non organic. 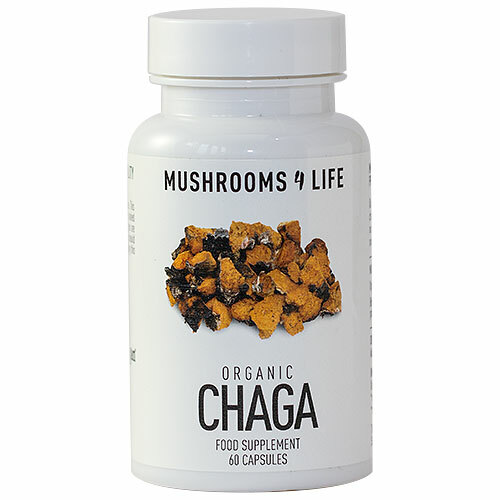 Below are reviews of Mushrooms 4 Life Organic Chaga - 60 Capsules by bodykind customers. If you have tried this product we'd love to hear what you think so please leave a review.